The First-Ever Corolla Hybrid Is Here! For a stylish, efficient and fun-to-drive sedan that’s as good-looking as it is eco-friendly, opt for the 2020 Toyota Corolla Hybrid. This new hybrid is available now at Central Maine Toyota, and it’s packed full of the latest automotive technologies to make your everyday drives easier. With an efficient but engaging hybrid powertrain and a long list of modern interior perks, the 2020 Corolla Hybrid LE is sure to impress. Come buy or lease a 2020 Toyota Corolla Hybrid at our Toyota dealership near Bangor, ME. Once you learn about the new Corolla Hybrid specs, features and fuel economy stats, it will be hard to resist! 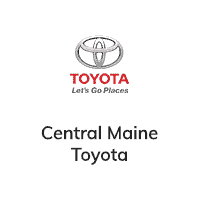 Come test-drive the 2020 Toyota Corolla Hybrid at Central Maine Toyota. We’re sure you’ll be so impressed by this hybrid sedan’s performance, style and looks that you’ll want to take it home for yourself! Speak to our team about buying or leasing a new Corolla Hybrid today.